Tras el nombre artístico Children Of Darklight se encuentra el ovetense Alfredo Álvarez. Aficionado a la fotografía, en 2009 descubre y empieza a experimentar con la técnica Light Painting de forma pionera en España. Esta técnica está basada en largas exposiciones fotográficas en la oscuridad, donde nuestro encuadre se convierte en un lienzo que es pintado o iluminado con todo tipo de luces por el artista. La historia del Light Painting podría remontarse ya a finales del siglo XIX, pero no fue hasta 1949 con Pablo Picasso, o 1975 con Eric Staller que se le empieza a dar un uso artístico y creativo a la técnica. Alfredo, atrevido con cualquier estilo dentro del Light Painting, sabe aprovechar los ricos recursos que le da su Asturias natal, en cuanto a localizaciones se refiere, para crear su obra, siendo un referente de la técnica en España y con gran reconocimiento a nivel mundial. Es además el primer representante español de la Light Painting World Alliance (LPWA), agrupación a nivel mundial que promueve el Light Painting como un arte en sí mismo independiente de la fotografía, y varias de sus fotografías forman parte de la Exhibición Mundial de LPWA, compartiendo cartel con los artistas más destacados del movimiento, haciendo de él un artista destacado a nivel mundial. Behind the name of CHILDREN OF DARKLIGHT, we can find Alfredo Álvarez from Oviedo (Spain). 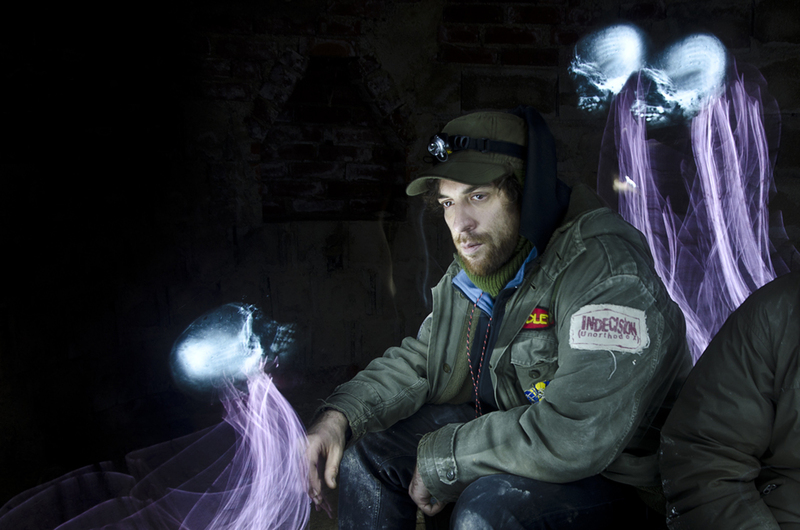 In 2009 he started to experiment with Light Painting photographic technique in a pionner way in Spain. This technique is based on long exposures in dark locations, where the frame become the canvas, and lights are the tools and the paints for the artist. Children of Darklight knows how to choose wonderful locations in his beautiful Asturias, a land that has already been called “the lightpainters paradise”. In 2012 Alfredo became the Spanish representative for the Light Painting World Alliance (LPWA), a group of worldwide lightpainters trying to promote light painting as an art form itself apart from photography. He has participated in most of the LPWA World Exhibitions in some of the most important cities of the world. He was twice a guest artist in his city’s White Night, making collective lightpainting performances, and he is nowadays the director of the first and most important lightpainting meeting in the world, the INTERNATIONAL LIGHTART CONGRESS CITY OF OVIEDO, whose second edition will take place in July 2015 in Oviedo. About the art, Alfredo is known for not being afraid of anything. Children of Darklight is still evolving in continuous experimentation, every different style and any interesting project and collaboration, but now also making it proffesional, adapting his art to the events where he is invited (photobooths, collective exhibitions, professional sessions to models, video lightpainting for advertising, light painting stopmotion animations…) or any other proffesional work related to lightpainting. Now, Alfredo and Children of Darklight, is a well recognized lightpainter and a reference to many others, not only in Spain, but in the whole world.